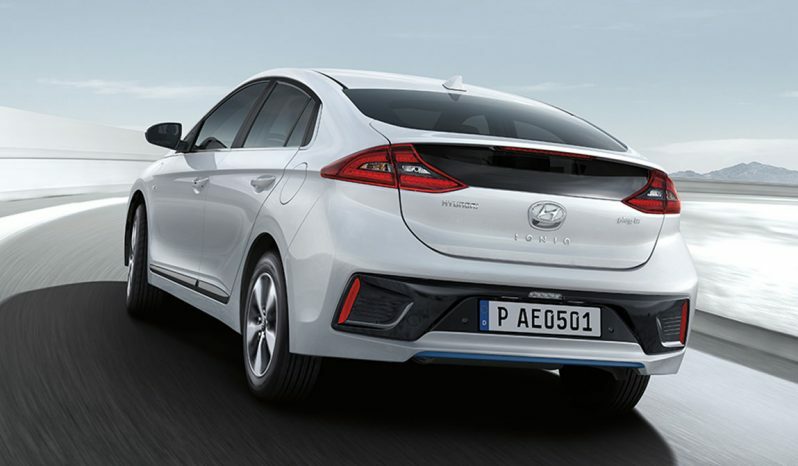 sloping fast-back style roofline enhances the airflow even further, adding to a clean, stylish design that’s built around aerodynamic performance. 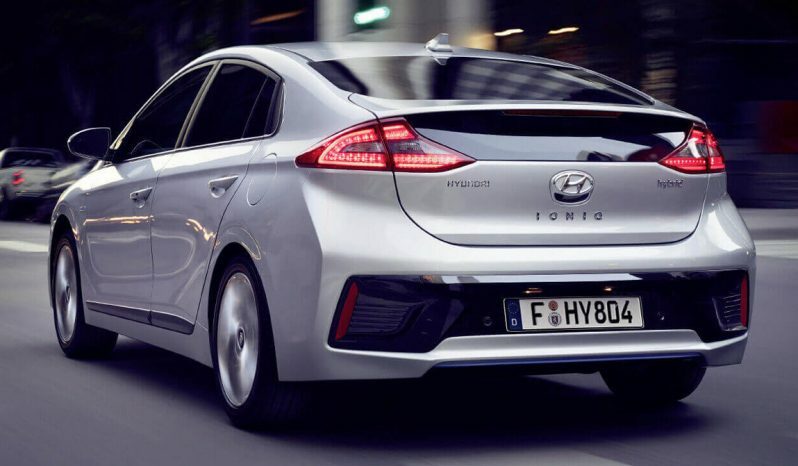 It’s the reason that the IONIQ won the coveted 2016 Red Dot Award for outstanding design in the ‘Vehicle’ category. Judged by industry experts from around the world, Red Dot rewards ground-breaking innovations across a huge range of sectors. 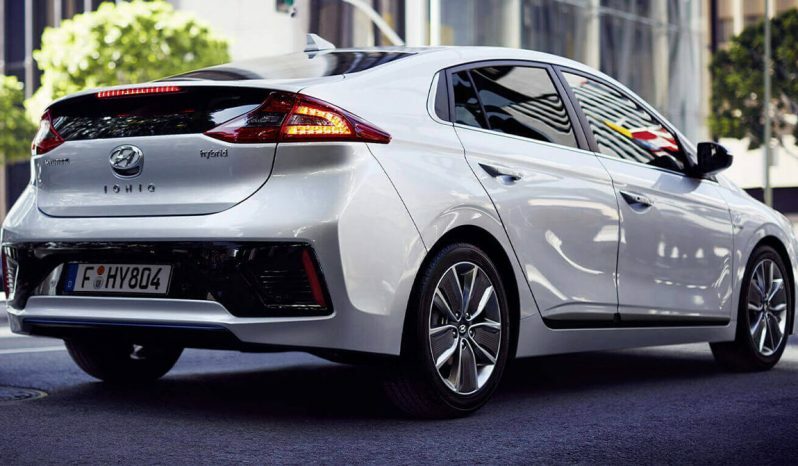 engine power resulting in more weight to the steering for a reactive and thrilling drive. 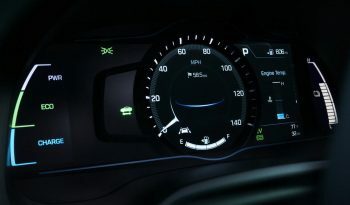 ECO mode optimises fuel economy and efficiency for a different style of driving. When you’re decelerating, the engine is turned off and the kinetic energy from the brakes is converted into electrical energy that’s stored in the battery. 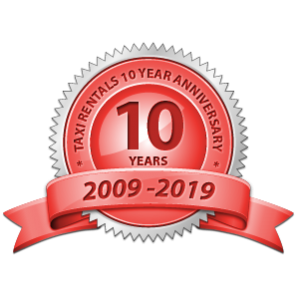 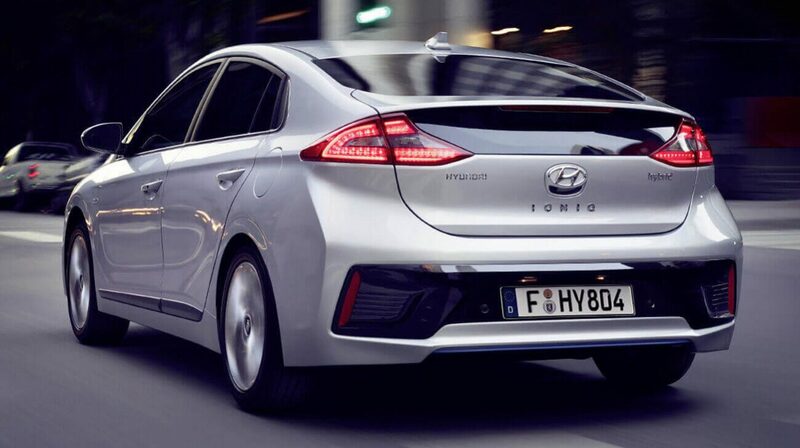 Whichever option you select, you’ll enjoy an experience that rivals any car in its class, not just Hybrids. and tailgate, are made of aluminium to decrease both their own weight, and the IONIQ’s overall kerb weight. The bonnet is 6.5kg (46%) lighter than its steel equivalent, while the tailgate is 6.1kg (45%) lighter. 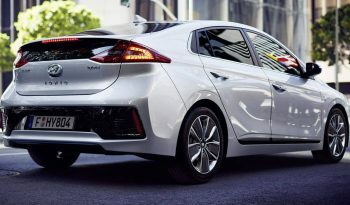 This 12.6kg saving comes with no compromise on noise or vibration. 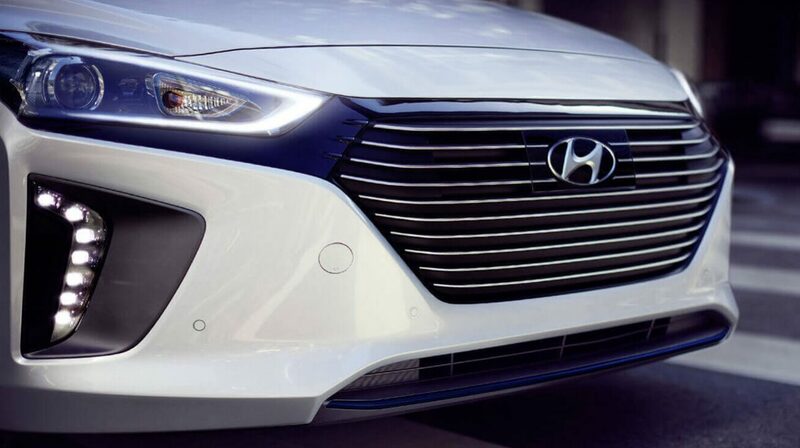 It’s these small gains that contribute to the bigger picture: an extremely lightweight, efficient model in every way. 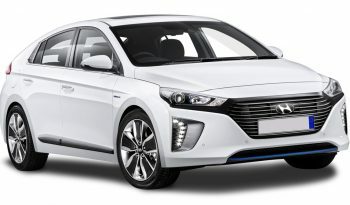 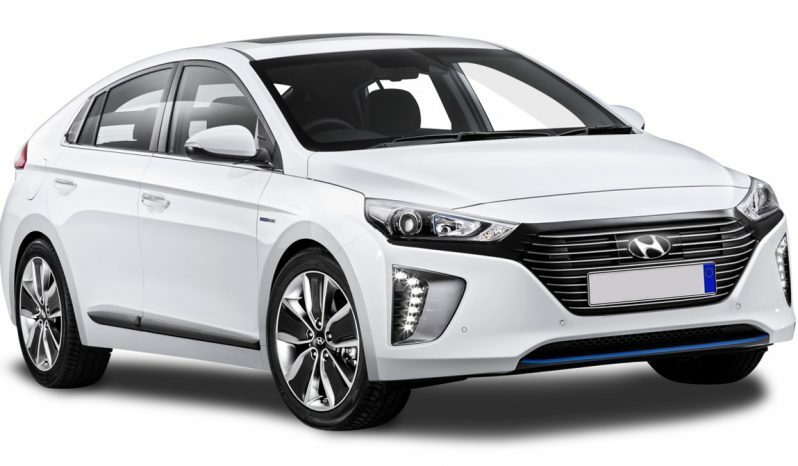 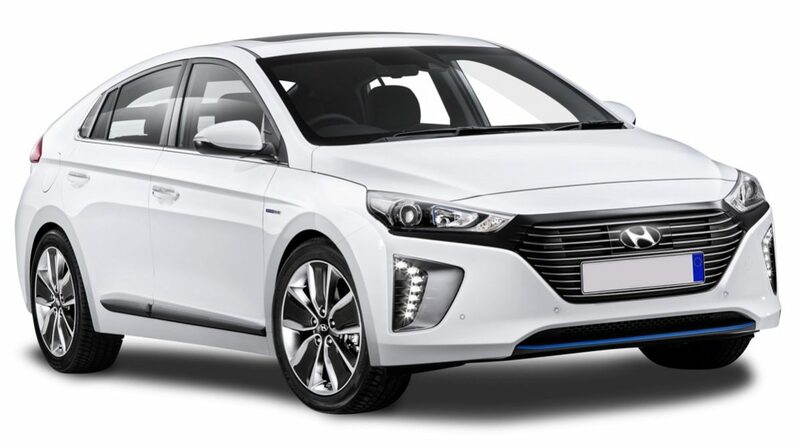 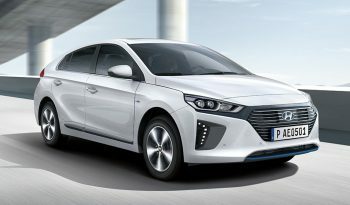 The IONIQ arrives with 7 airbags along with a significant line-up of driver assist technologies. 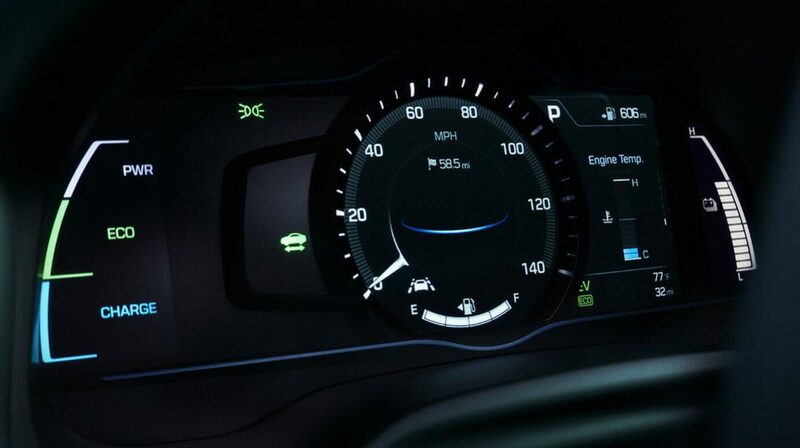 The Lane Departure Warning System with Lane Keep Assist will warn you if you veer out of your lane and apply corrective steering if necessary. 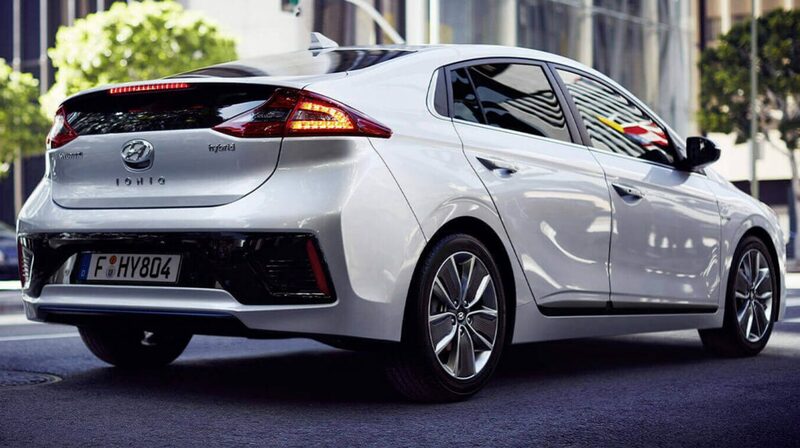 The Autonomous Emergency Braking function helps prevent collisions with pedestrians or vehicles by emitting a visual and audible warning before intervening with partial or complete brake application. 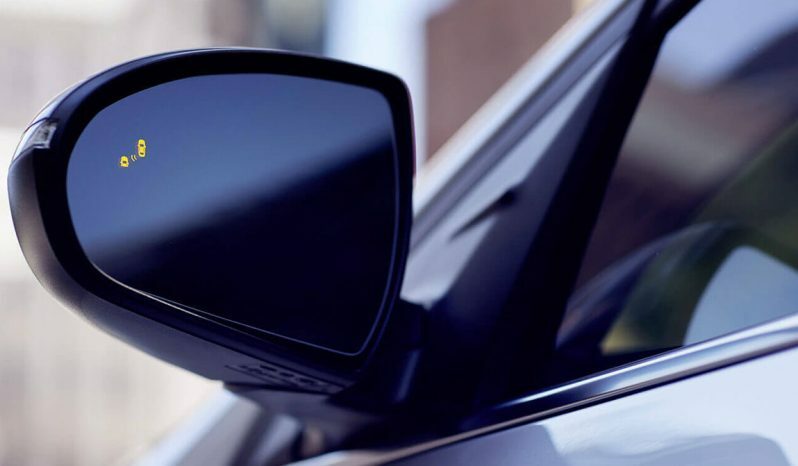 Rear radar sensors provide Blind Spot Detection to help you change lanes or safely reverse, while Smart Adaptive Cruise Control maintains a safe distance between you and the preceding vehicle. 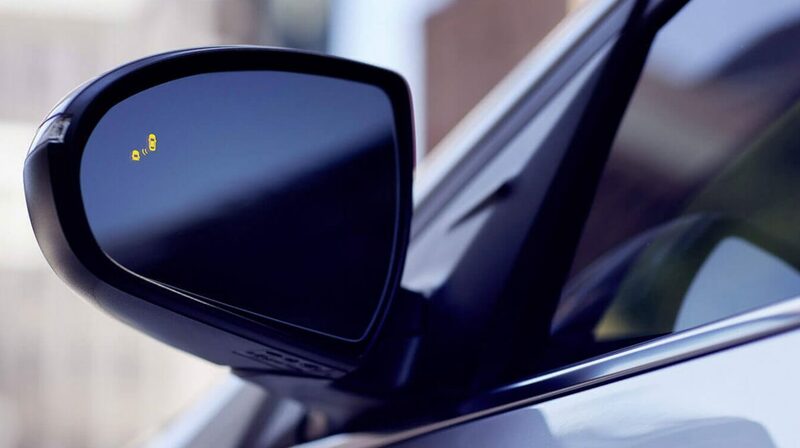 This cutting-edge combination of built-in radar, cameras and sensors will look out for you every step of the way.